As part of our ongoing look at metal in academia, we speak with Professor Nelson Varas Díaz, who teaches at the University of Puerto Rico and is one of the sponsors of the upcoming “Heavy Metal Music and the Communal Experience” academic conference. The upcoming conference will attempt to define “community” in heavy metal and has uncovered some interesting starting points. If nothing else, it shows the broadening of academic interests in metal. For more examples, read Professor Varas Díaz’s description of his research and its practical applications below. Where academia once focused on metal as a narrow field, it is now an inter-disciplinary study used to apply that knowledge back to other specialized fields. We were fortunate to get a few moments via email with Professor Varas Díaz to discuss the conference, his research, his past and most importantly, his views of and participation in heavy metal as both art form and community. Are you a metalhead? If so, what got you into metal, and what keeps you into it? What type(s) of metal do you like? I listen to metal music constantly. I am always looking for something new that helps push boundaries of what I listen to within the genre and that continues to surprise me. I listen to metal music across the spectrum… everything from traditional, thrash, death, and progressive metal. I think that, like most of the people I have met that enjoy metal music, social alienation was an important part of getting into this style of music. I will be the first to recognize that as a young man I felt very much isolated from traditional institutions. It seemed like one had to give up something of oneself to be part of the group, and metal music did not ask that of me. I know this sounds cliché… but at that young age it was very much my reality. There are many other reasons why people become interested in metal music… but that was mine. Being part of a metal community in Puerto Rico, in the late 80s and early 90s was exciting, and I felt that I could be myself there. Of course, now I can see that process with some years of experience under my belt and recognize it for what it was with strengths and limitations. I am always very careful not to romanticize these experiences, as metal communities can also expect you to mold to certain standards (i.e. dress codes, behavior codes). It is a matter of learning to live within this apparent contradiction between individuality/collectiveness. I like to think that I have “returned” to the metal community in Puerto Rico as a product of our study with its local scene. The study has been ongoing for the past two years and the first four publications on the project will come out in 2014 as book chapters and papers in peer-reviewed journals. Metal in general keeps me intellectually and emotionally engaged. You’ve come up with a stumper here: how does metal define community? Is there more than one metal community? That is an important question… I think people who are engaged in metal music throw the word “community” around as if we were all talking about the same thing. That is understandable because the concept is so frequently used that we don’t take the time to explore its implications. As a researcher, my instinct tells me to take two steps back and explore the idea in all its potential complexities. A conversation with individuals from different settings will immediately show you how metal communities can be very different depending on their context, and still feel part of a larger metal community throughout the world. So yes… I believe we should always refer to metal communities in recognition of the plurality of experiences that are encompassed in the process of being part of a collective group. But that is not enough… and complexity always shows its face in this discussion. Some example of this complexity include the role of the market in developing communities that are not organic, gender dynamics within communities, LGBTT issues, just to name a few areas that are currently being addressed by metal scholars working with the concept of community. Academically, concepts like tribes, emotional communities, functional communities, geographical communities, border communities, and scenes are used to describe the idea that we are connected. Some of these concepts overlap, while others include very different criteria for what constitutes a community. I hope that the conference will allow us to continue a discussion on how we are connected, while also recognizing the complexities that we still need to address in order to have a more comprehensive understanding of the subject. What do you hope to achieve with this conference? Who is coming? Is it open to lay people (non-academics) such as fans, bands, zines, labels and promoters? I hope that the conference allows attendants to continue a discussion that began in the Heavy Metal and Popular Culture Conference that took place in Ohio in 2013. That was a simply amazing event that pushed the field of Metal Studies to new heights. We will have visiting scholars from the UK, the US, and Brazil. These include: Keith Kahn-Harris (University of London, UK), Niall William Richard Scott (University of Central Lancashire, UK), Deena Weinstein (DePaul University, USA), Karl Spracklen (Leeds Metropolitan University,UK), Jeremy Wayne Wallach (Bowling Green State University, USA), Amber Clifford-Napoleone (University of Central Missouri, USA), Brian A. Hickam (Benedictine University, USA), Cláudia Souza Nunes de Azevedo (Universidade Federal do Estado do Rio de Janeiro, BR), and myself (University of Puerto Rico, PR). The conference is free of charge and will be streamed over the Internet for those that can’t make it to Puerto Rico (more details soon on our facebook page). I am sure that non-academics will be an important part of the event and that the local metal scene will support this venture. In fact, the Puerto Rico Metal Alliance and Thrash Corner Records will be cosponsoring the event. These are two historically important institutions in Puerto Rico’s metal scene. We will also have a concert with local artists Organic, Ortiz and Dantesco (more details soon). What do you think the study of metal has to offer academia at large? Heavy Metal Studies has a lot to offer academia. The one thing that I think people in academia are surprised to see is that we engage in areas that are truly interdisciplinary. As a social psychologist, I have shared panels with philosophers, musicologists and musicians while we address metal as a subject of interest. I have had to expand my field of inquiry to converse with others. That is something that is severely lacking in academia. Most people are stuck in their fields and have a hard time letting go. I welcome that experience and hope it helps other academic settings see it as a possibility. This year I have a presentation on metal music in a local psychology conference. My presentation is entitled “Letting go of psychology” as a testament to how engaging in metal studies has required me to change how I think about and approach these subjects. Do you think the study of metal has picked up lately? Why, if so? I think there are several reasons. First, we must recognize the work of pioneers in the field like Deena Weintein and Robert Walser. Those books set the stage, at least from my perspective, for the growing number of academic endeavors in the field. Second, more recent books published by Keith Kahn Harris on extreme metal and Jeremy Wallach, Harris Berger and Paul Greene on the global aspects of metal have pushed these reflections even further. Also, the continuing number of conferences that have been organized played a vital role in strengthening metal studies. Take for example the Heavy Fundamentalisms conference organized by Niall Scott and Rob Fisher for Interdisciplinary.net and the Heavy Metal and Popular Culture Conference organized by Jeremy Wallach, Cláudia Souza Nunes de Azevedo, Amber Clifford-Napoleone, Matthew A. Donahue, Brian Hickam, and Esther Clinton at Bowling Green University. Those were excellent conferences that have yielded great discussions (and upcoming publications) that have strengthened the field. In terms of organization, the International Society for Metal Music Studies (ISMMS) has played a vital role in promoting metal studies. Also, the new journal Metal Music Studies edited by Karl Spracklen will help strengthen the field in terms of publications. I am part of the editorial board of the journal and am really excited about where it will lead. These are just some examples of individuals that are collectively working very hard to promote metal music studies through different mechanisms. They are joined by so many others that systematically engage in research with little support and resources. Can you describe your own studies, both in metal and outside of it, and what you think they have contributed to academic knowledge? Most of my research outside of metal music is related to social stigmatization and health. It has focused on developing strategies to train health professionals to address the needs of marginalized populations without letting prejudice influence social interactions. Now you will say… what does that have to do with metal music? Well, I frequently use heavy metal lyrics to discuss how social stigmatization influences people’s lives. So metal music found a way into my classroom long before I engaged in metal studies. After attending the Heavy Fundamentalisms Conference in 2010 I decided to engage heavily in metal studies as a central area of study and focus on the Caribbean region where literature on the subject is scarce. My current project aims to explore the development of Puerto Rico’s metal while focusing on the social, historical and cultural factors that have helped shape it. My team is composed by Eliut Rivera, Sigrid Mendoza, and Osvaldo Gonzalez who are graduate students. The study has a mixed methods approach using ethnographic observation, qualitative interviews, and quantitative questionnaires to documents our subjects of interest. We are using these findings to complete a documentary on the local scene, which should be out in early 2014. 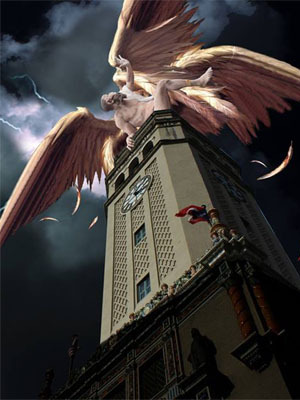 You can follow our progress through our facebook page entitled Puerto Rico Heavy Metal Studies. Our first data-gathering trip to the Dominican Republic will be in 2014, to continue expanding our study to other Caribbean scenes. We use the term “metal community” on a regular basis, but it’s unclear to many what this includes. What is the metal community? Is it defined by boundaries, or a shared ideal? A conference of academics is meeting in San Juan, Puerto Rico, on March 5, 2014 to analyze this issue by presenting papers and having open discussions on the topic. Hosted by UPR professor and metalhead Nelson Varas Díaz, the conference aims to attract scholars from the Latin America, Europe and the United States. One of the major themes is one that metalheads have brushed over for years, namely the conflict between individualism and group identity in metal. Both are strong, but individuals finds expression through group identity in metal, seemingly a paradox. In addition, the conference will explore the communal experience in metal and how it can be analyzed.